Designed for use with Innokin’s groundbreaking MVP4-TC Scion Starter Kit, the Scion Vape Tank has 3.5ml e-liquid capacity and features an easy to use top fill design, along with a snazzy dual airflow system, while made for use with the Scion Kanthal BVC (Bottom Vertical Coil) atomizer heads. 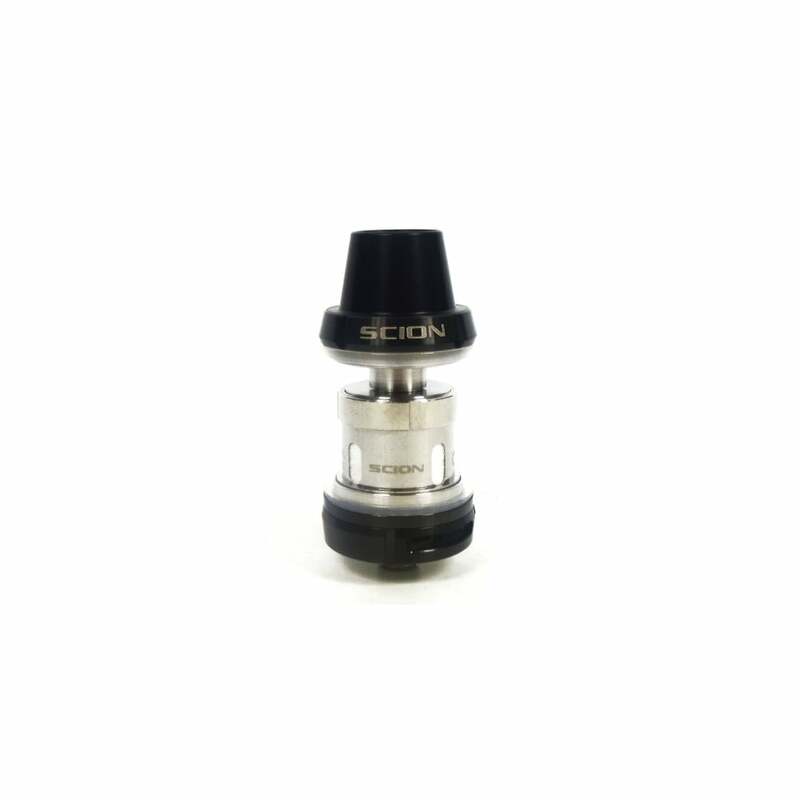 Available in a blue or black metallic finish, the Scion Tank oozes high quality, with stainless steel and Pyrex glass all featuring, along with a threaded wide-bore delrin drip tip - a device that has been built to last, built to work flawlessly and built to look incredible. For those who love the flavor chase and producing huge, billowing vape clouds, this one is for you! The innokins scion tank is a good starter tank for those wanting to get into vapeing it's got great airflow and tank capacity but one of the down falls is that you don't get to use your Owen drip tip on them but it comes with 2 so that if you lose the one on the tank you'll still have the back up one, the tank is from 70w-100w but don't use it all the way up at 100w you'll have more of a chance of getting burn hits then vaping and the tast that comes out of it is great I've been using the scion a lil more then my baby beast tank Im glad that I bought from them when i did I love this thing.